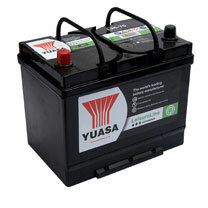 We recommend 12v leisure batteries for electric fence applications. This type of battery is designed to repeatedly discharge and recharge rather than trickle charge like a car battery, within which the cells would begin to break down. This sealed wet cell deep cycle 12v leisure battery will power the Gemini Energiser for about 2 weeks.